A major attraction of Kostrzyn are the “Zefir” boat cruises on Oder and Warta. In the Kostrzyn marina, you can get on board and experience the adventure of boating during a leisurely one-hour cruise or a 3-hour tourist cruise. Sometimes, the boat changes moorage. On this occasion, you can boat for a longer distance, eg. between Kostrzyn and Słubice (this is the so-called rejs przepływowy). A detaile dschedule of cruises is available at: www.odra2014.pl, in the section “Plan Rejsów”. 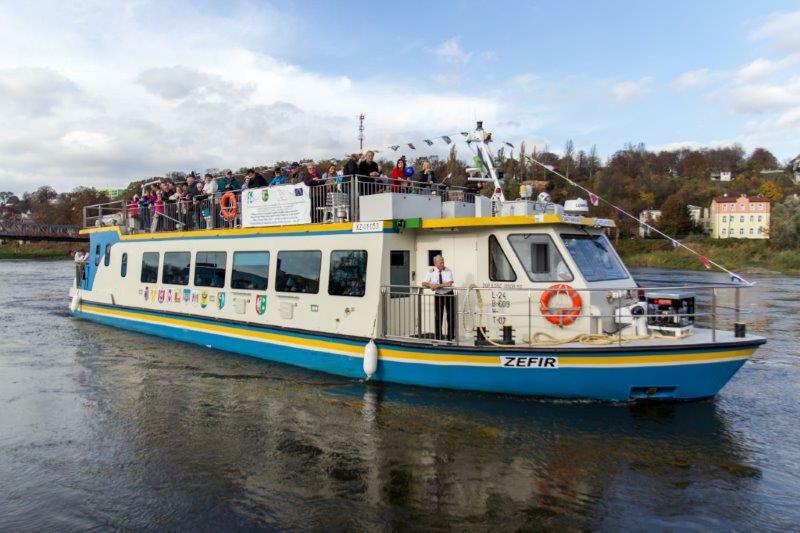 Cruises on the Oder are the effect of the project carried out by the local municipalities named “the Oder for tourists”, whichquickly gained recognition and became a showcase for local neighborhoods.